Welcome back to another Submission Roundup! This month features an array of wonderful writing opportunities! It’s worth noting that some of these markets close to submissions ASAP, and some are open for a while longer, so as always, be sure to check the deadlines! Also, a quick note: I am not a representative for any of these publications; I’m just spreading the word! Please direct any questions you have to the respective editor. 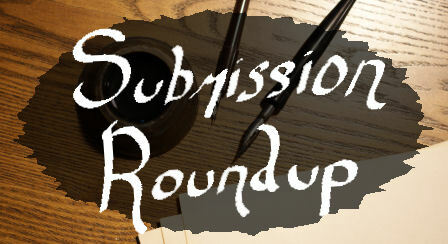 And with that, onward with June’s Submission Roundup! What They Want: Original stories about doubles or doppelgangers. What They Want: Open to original short stories of urban weird fiction. What They Want: This is an incredibly bittersweet one—the fabulous Shimmer will soon be closing up shop. While my heart is broken over this, the editors are still seeking stories to fill their final issues. They are looking for unusual and beautiful speculative fiction tales. Submit to Shimmer while you still can! What They Want: Open to speculative fiction from authors from the African continent and diaspora. The upcoming issue’s theme is Pilgrimage. What They Want: Open to stylized speculative fiction. The upcoming issue’s theme is Magics. What They Want: Open to original retellings of folktales, myths, and legends. This entry was posted in Fiction, Submission Roundup on June 21, 2018 by gwendolynkiste. Welcome back! This week, I’m pleased to spotlight the fantastic Michael Cisco. Michael is the author of The Divinity Student, The Tyrant, Celebrant, and MEMBER, among numerous other books and short stories. 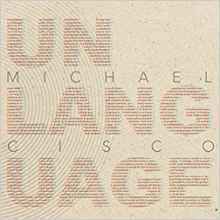 Recently, Michael and I discussed his latest book, Unlanguage, as well as how he defines weird fiction and what projects he’s working on next. What first inspired you to become a writer? What is it about speculative fiction or the uncanny that led you to genre writing in particular? Being a writer never seemed like a decision. I wanted to write from a very early age. When I was a boy, I remember being struck by the idea that, while the people, places, and events in the books I loved weren’t real, the writers were. I couldn’t be those people, do those things, or go to those places, but I could write my own. Horror was always important to me, mainly because I had my fair share of fear and that perverse tendency to use the imagination to trump up greater fears for myself, but also because horror was about re-enchanting the world around me, however darkly. If, for example, I’m told that one of those boring suburban houses over there is haunted, then they suddenly become interesting. I knew I wanted to write as imaginatively as possible, and I felt a condescending disdain for realism that I hope I’ve outgrown now. I knew I wanted to write that kind of fiction, but at the same time my vanity wouldn’t allow me to do anything in the usual way. So I went about writing genre fiction almost deliberately incorrectly, to see if I could create something new. Your new novel, Unlanguage, just debuted from Eraserhead Press. What can you share about your process for this book? What was your initial inspiration, and how long did it take to develop into the final version? Also, any surprises in the writing process along the way? I was studying a language textbook that included a series of linked readings connected to each lesson. In one reading, we’re on board a ship. A man goes wild and starts trying to chop the bottom out of the boat with an axe. Pursued by the sailors, he leaps overboard. The main character of these readings asks the captain if he intends to let this man drown in the ocean. The captain replies, “He was a bad man and he’ll die a bad death.” And I thought — this? This is what the writers of this book thought was a representative and appropriate introduction to their language? I enjoyed the story, don’t get me wrong, but it got me thinking. Since my Tolkien days I’d been haunted by the idea of inventing a language, but this has been done already, and by far better qualified people. Coming up with vocables and arbitrarily assigning them meanings didn’t sing to me, but I have always been mystified and intrigued by other languages and the possibilities for expression that come out in the unlanguage, the non-place between two languages in translation. So I came up with the idea of an ominous language textbook with linked readings connecting across different grammatical explanations. UNLANGUAGE took roughly two years to write, which is about typical for me. I spend a year banking ideas, and a year writing them up. Your work is often classified under the weird fiction label. But weird fiction itself often defies easy definition, with writers and editors having different ideas about what encapsulates the weird. So in that vein, what is weird fiction to you? This is something I’m currently struggling to do in a critical monograph. I don’t think that weird is the opposite of normal, but that the two are inseparable. My go to example here is the beginning of David Lynch’s film, Blue Velvet. The discovery of a severed, greenish ear in the grass is set alongside a montage of exaggeratedly ordinary images invoking small town Americana. I don’t think it’s enough to say that you can’t have the strangeness of the one without the normalness of the other, because the normalness becomes strange and the strange becomes normal in that movie. If a story is nothing but weird events, then it ceases to be weird, weirdly enough, because it has turned into something like fantasy. For me, the weird is about the normal, simply by not taking the normal for granted. It’s like the seduction of the ordinary. Throughout your career, you’ve written a lot of both short fiction and longer works. Do you find your style or approach differs depending on the length of the project? Do you have a preference for short fiction versus longer forms? Also, has this preference changed at all over the course of your writing career? I much prefer longer forms, and always have. I gather ideas and heap them up with the intention of shoving them all into one thing, instead of breaking each one out into a separate thing. Writing short stories usually entails an adjustment to this approach. Writing novels, I still start at the beginning and write through to the end, but over time I’ve gotten better at roving around inside the manuscript. I am still experimenting with different approaches to writing short fiction; I have no one set approach there. In addition to your own fiction, you’ve also written nonfiction, you’ve done translations, and you teach. Do you find that these various elements of your work often impact your fiction? They all connect. My nonfiction grows out of the preoccupations I have in my own writing. My translations don’t necessarily have much bearing on what I write, except in the broader sense that I draw ideas from the interaction of languages. I have tried writing passages in other languages and then translated them into English, to see if I could add a certain kind of disoriented feeling to the “normal” English flavor. Teaching means encountering all sorts of different people and learning from them; it has made me a much quicker and more ruthless editor of my own work. I have a new novel that is nearly done, called PEST; the theoretical part of my academic book on weird fiction is done, and I’m now doing some case studies to see how well it holds up in application. Big thanks to Michael Cisco for being part of this week’s author interview series! This entry was posted in Fiction, Interviews on June 4, 2018 by gwendolynkiste.